More stringent energy-efficiency regulations are opening up new markets for companies. Are develops technical building systems that reduce energy consumption in heating, ventilation and lighting. Increasingly stringent energy regulations are opening up new markets for the company. Technical building systems that control heating, cooling, ventilation and lighting play a key role when there is a desire to improve the energy efficiency of buildings. Building services provider Are developed the Are Sensus technical building system, which makes it possible to control all building energy flows centrally. 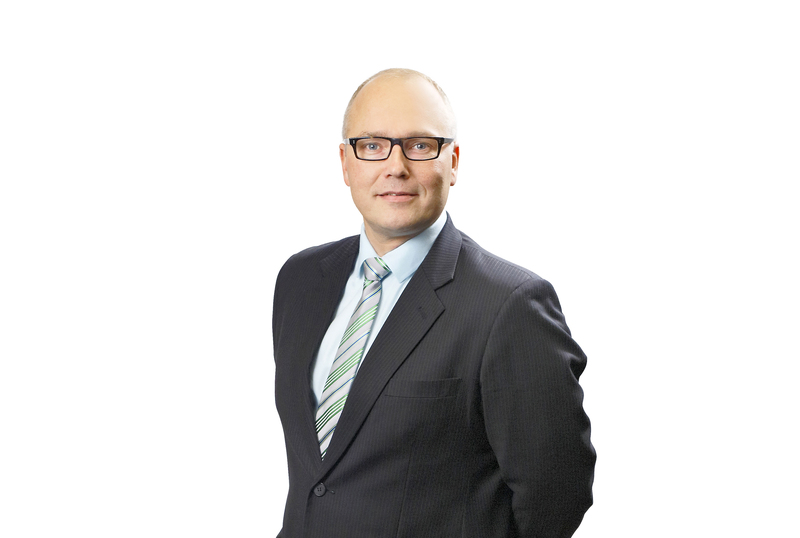 “Thanks to the smart system, less energy is consumed,” says Vesa Hakkarainen, Are’s Business Area Director, Building Services Contracting. “In a conventional system, the cooling might be at full output in one room, while the heat is on in the room next door. There’s no communication going on between the ventilation and heating systems,” explains Hakkarainen. Energy-efficiency building regulations have become more stringent year by year. At the beginning of 2021, an EU directive will enter into effect requiring all new buildings to be nearly zero-energy. Heating these buildings will require virtually no energy purchased from an outside source. Another rising trend in the property sector is the diversification of energy production forms. Traditionally, properties have acquired the energy they need from outside sources, such as district heating or district cooling. In the future, more and more properties will be producing their own energy using, in particular, renewable solar and geothermal heating. “The job of a technical building system professional is to integrate the different forms of energy, manage energy flows and create a functional, comprehensive package. This is more challenging than supplying energy to the building from just a single source,” says Hakkarainen. Is your company interested in carbon neutrality? Get your own practical carbon neutrality toolkit! Sitra has put together a toolkit for companies (available in Finnish only). It covers operational areas that are key to achieving carbon neutrality: strategy, leadership and culture, new business opportunities and carbon efficiency. The toolkit presents companies with information on the benefits of carbon neutrality by offering ideas, models and examples of methods which some companies have already used to come up with successful solutions. You can use these tools to set your business on the road to cleaner solutions and carbon neutrality, thus maintaining your competitiveness. Download the toolkit (PDF, in Finnish) to your own computer or view it directly on our website. When you open the PDF version in Adobe Acrobat Reader, you will be able to navigate by clicking on the content and sections you want to read more about. You can also move forwards and backwards using the arrow buttons if you wish to read the entire document.